We're at another delicious reveal for the Secret Recipe Club - Group A. This month, my assigned blog was Renee's Kitchen Adventures. I had such a fun time looking through Renee's blog which is full of great recipes that are both, delicious and healthy. She is part of the Weight Watchers group and has had a lot of ongoing success with it. I've been trying to add such recipes to my repertoire so it was almost like destiny to receive this blog. For the reveal, I was torn between the Grilled Jerk Chicken Thighs, these Mini NY Style Cheesecakes, her mouth watering Lightened up Salisbury Steak and these little gems called Almond Joy Shortbread Cookies among many more. 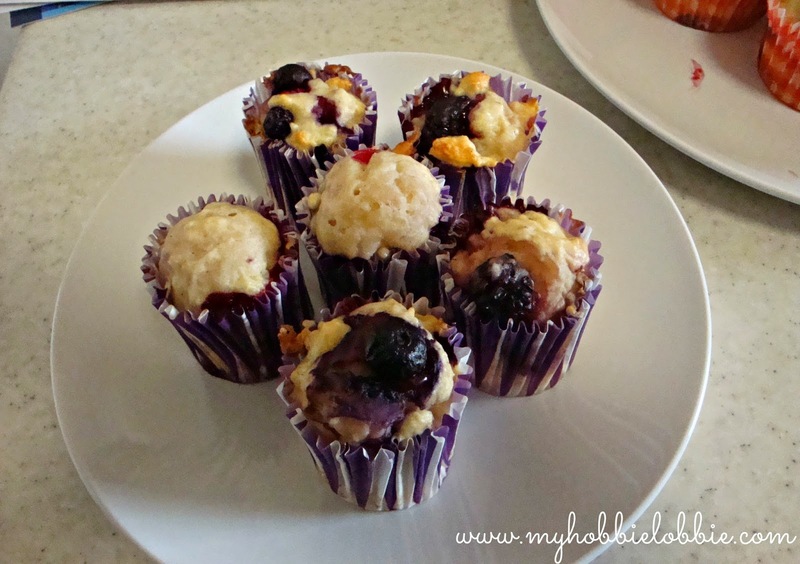 But when I saw her post on these Bursting Berry Muffins, I was sold. With a name like that and a picture to go with it, there was no way I could turn it down. in here. They were delicious. They were not too sweet either, just perfect. Place paper liners in a muffin tin. Place the flour, sugar, baking powder, salt and cinnamon powder in a large mixing bowl. In a smaller bowl, add the eggs, Greek yogurt, buttermilk, oil and extract and whisk well till combined. Fold in the frozen berries lightly. I also made some mini muffins. They look kinda groovy, don't they? I love the color that the berries add to the muffins. So pretty! They look great!! so glad you enjoyed them! Thank you for the kind review! The pleasure was mine Renee, thanks once again! I love your colorful muffins. My kids would love these. 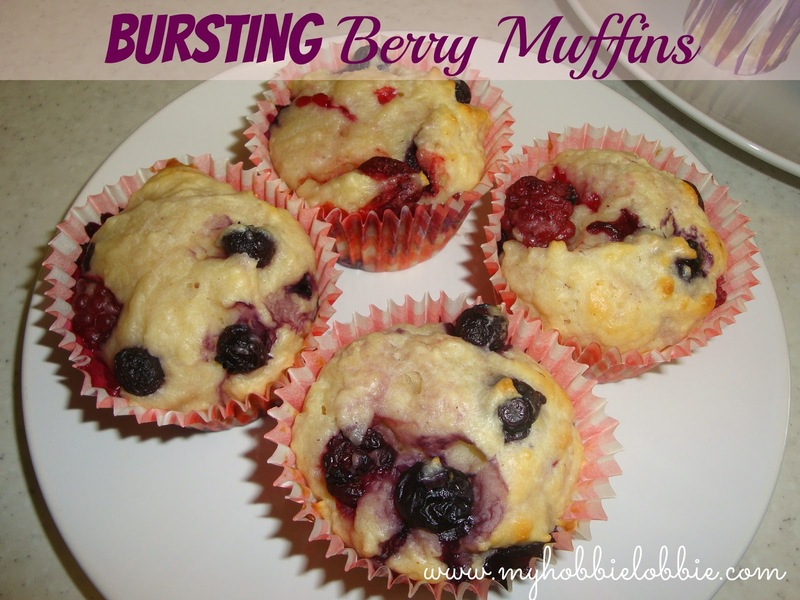 These muffins truly are bursting with berries!! And they look absolutely fantastic. Yum! You can't go wrong with berry muffins - especially with the added yoghurt! Yum!